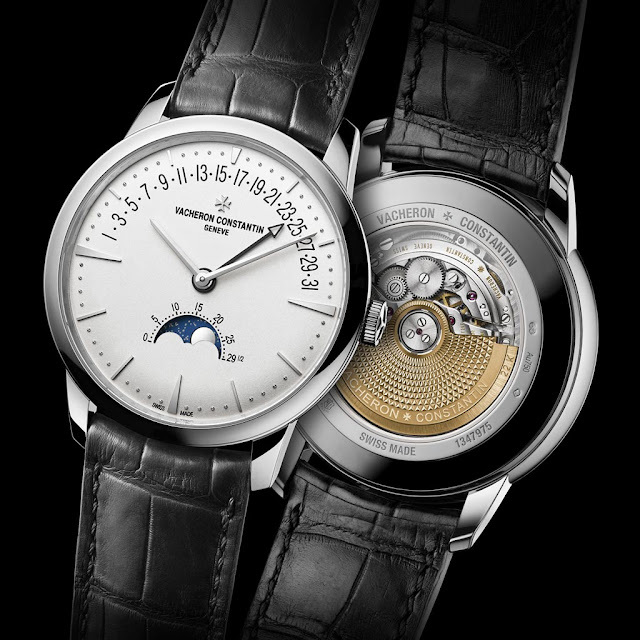 Unveiled ahead of the SIHH 2017 (Salon International de la Haute Horlogerie, Geneva, 16-20 January 2017), the new Patrimony moon phase and retrograde date from Vacheron Constantin combines a moon phase complication with a retrograde date indication, graduated from 1 to 31 across the upper dial arc. The understated round case (42.5 mm diameter, 9.7 mm height) is available in two versions: pink gold and white gold. The silvered opaline dial, subtly raised around the rim, features tapered applied hour-markers in pink or white gold depending on the versions, as well as a circular "pearl" minute-track. The signature Maltese cross on the dial, the slim hands, as well as the pin buckle of the alligator strap, are all crafted in pink or white gold according to the model. The moon is visible through an opening in the lower half of the dial. The age of the moon – meaning the number of days that have elapsed since the last new moon – can be read off on a graduated scale around this opening. The mechanism requires a one-day correction just once every 122 years. The retrograde date display features a central hand – whose colour is achieved by a black oxide process – tipped with an openworked arrow which moves forward in one-day increments. Once the month is completed, a retrograde system returns it instantly to its initial position on the 1 numeral. 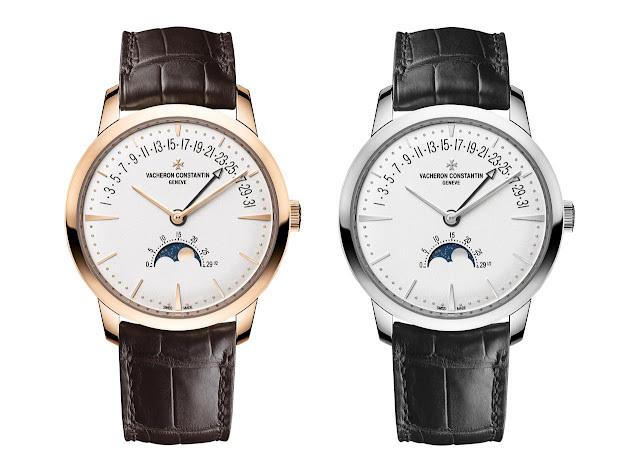 Beating at 28,800 vph and offering a power reserve of 40 hours, the new 275-part Manufacture Vacheron Constantin Calibre 2460 R31L ensures optimal user-friendliness making it possible to perform all the adjustments of the various functions via the crown. In its first position, it serves to wind the watch. 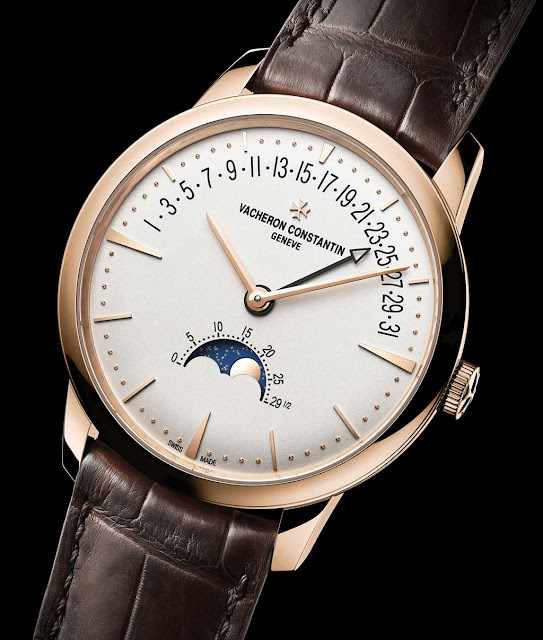 Once pulled out to the second notch, it can be turned clockwise to set the date or counter-clockwise to adjust the moon phase, while the third and last position controls time-setting. 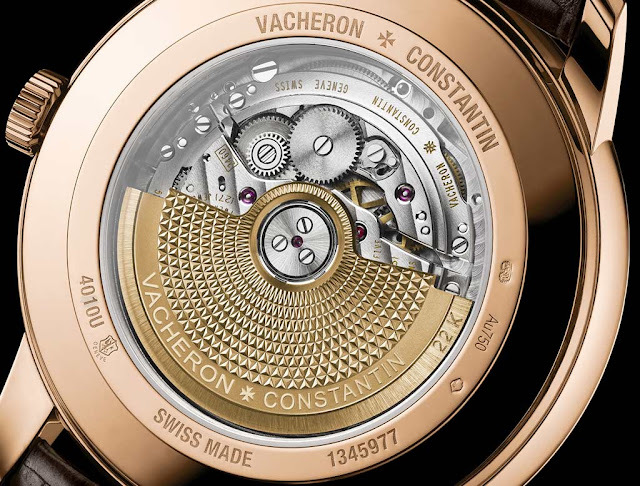 A transparent sapphire crystal reveals the 2460 R31L movement and its 22K gold oscillating weight, adorned with Vacheron Constantin’s signature Maltese cross motif. 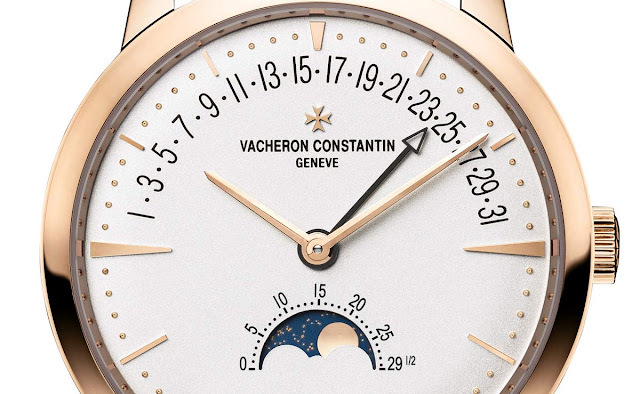 Unveiled ahead of the SIHH 2017, the new Patrimony moon phase and retrograde date from Vacheron Constantin combines a moon phase complication with a retrograde date indication, graduated from 1 to 31 across the upper dial arc. 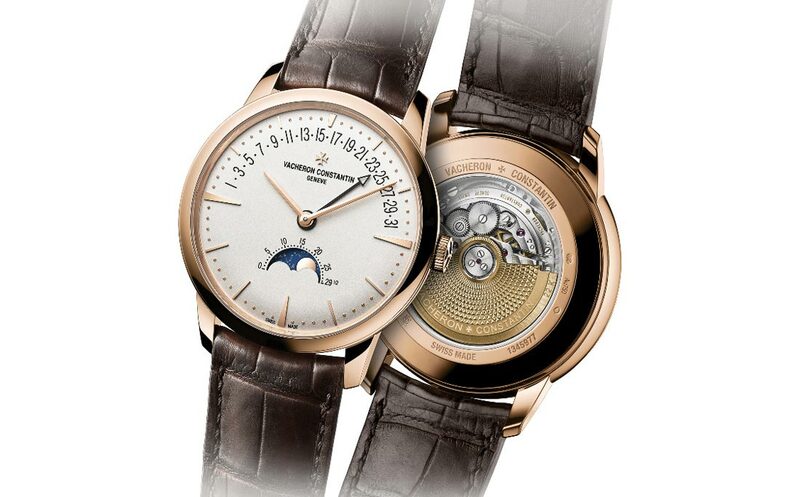 The new Patrimony moon phase and retrograde date is certified by the prestigious Hallmark of Geneva. Price to be announced.